Day 11: What is it about Friday? Friday was another tough one. During the pregnancy, we had emotional moments, and were certainly worried. But we were waiting on better images, and we were theorizing…and we hadn’t met the boys. We could deny sometimes, and hope always. When the boys arrived and did well, we were re-energized, and more hopeful than ever. Even at Thursday’s care conference, we were hearing hard things, talking about what could go wrong, and looking at images. But it all sounded like a far away impossible future. Then Friday happened. The neurology team had noticed L jerk during their physical exam. Honestly I wouldn’t have even thought anything of it. Young babies are still getting down smooth movements, and startle easily. But she was concerned enough to order EEGs for Friday. 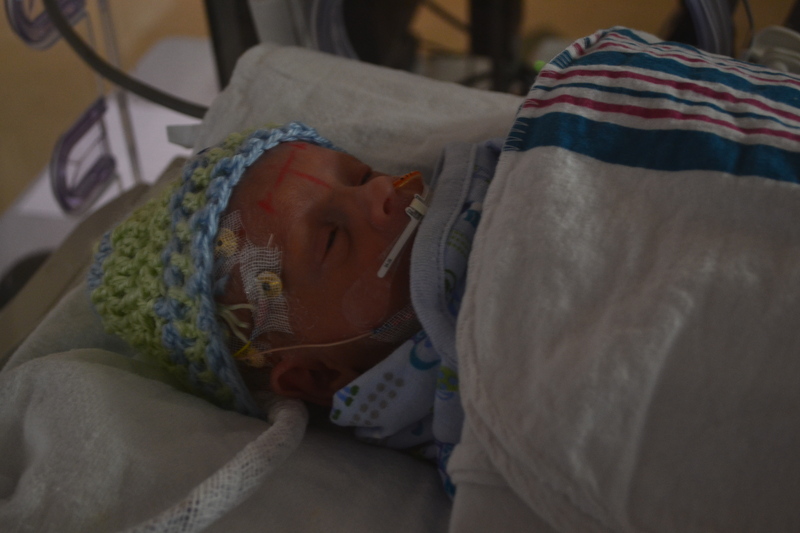 The EEG confirmed that the jerk is a myoclonic seizure. And worse, they are having sub clinical seizures that aren’t observable to the eye. The seizures aren’t damaging in and of themselves, and can be managed with medicine, but these are a sign of, in her words, “a stinkin’ sick brain”. They are medicating with phenobarbital. Both boys got loading doses yesterday afternoon/evening, and per the update I received this morning, they haven’t quite honed in on the right dose to help them stop yet. I believe they will leave the EEG running until they have been seizure free for 24 hours. The boys don’t mind though. 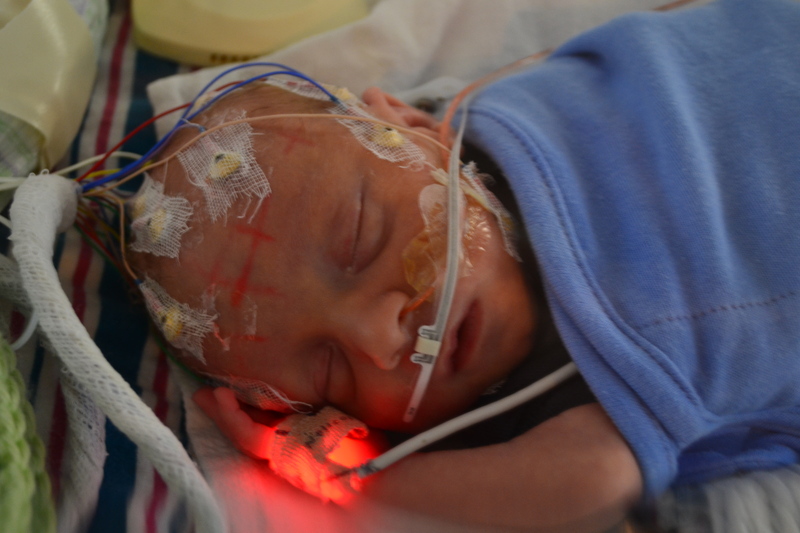 Both boys are peaceful, and somehow make red marks, EEG leads, and cords look good. 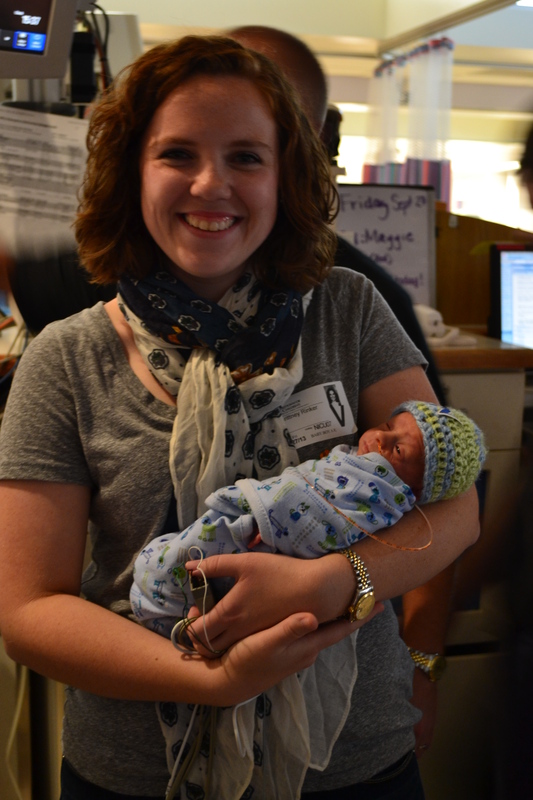 Their busy little NICU home! J and I knew they were possible. Likely even. But we also mostly read that they onset later. Perhaps around 3-4 months. The fact we’re seeing them from, effectively, week 1 doesn’t feel good. There was some sunshine in the day yesterday. Aunt Brittney came to visit. She, too, was instantly smitten. K came to stay with us last night. We are so proud of how big he is being during the juggling. He talked non stop, and seemed so big to us in every way. We had a pizza party, then he was excited to watch cartoons late, and sleep in a big bed with daddy. 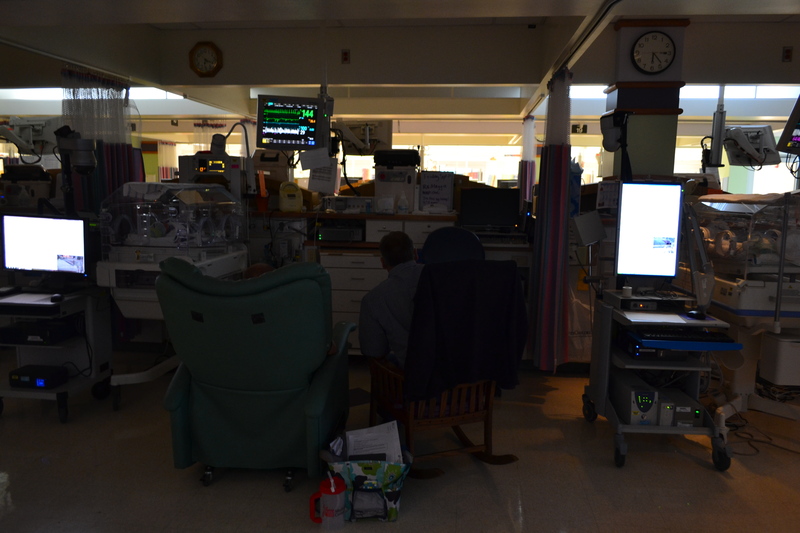 We didn’t mention the babies, because they are still hooked up to the EEG leads, and we haven’t decided whether or not to let K see them today. On his own, he said “my babies are not here” during dinner. Then later said his baby “broders” live in a box and sleep in a box. He seems comfortable with that and doesn’t seem upset about how different this may be from what his little mind might have expected. He is as smart and as sweet as ever, and has been a great dose of medicine for us. We are so proud of him. I’ll check back in after the weekend. Have a great one! And as always, thank you for the continued support and prayers. May God wrap his comforting arms around you both and those precious baby angels! Comforting prayers for you all……….